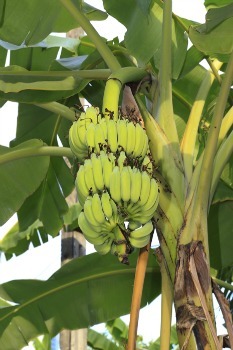 When we think of the health benefits of bananas we automatically think of potassium. But this tropical fruit offers us so much more than that and can play an important part of a healthy diet and weight loss plan. This fruit is very versatile and can be used in a variety of ways. You can peel and eat it as is or add it to cereal, smoothies﻿, baked goods, make ice cream and is always a great part of any healthy breakfast because of the energy it provides. The most convenient thing about this fruit is that it has its own natural wrapper and you can take it anywhere with you as long as you don’t squish it. Bananas are also inexpensive and can be purchased year round and with offering so many health benefits it is understandable why they are the most popular fruit purchased on the planet. One of the biggest benefits of bananas is that they are high in potassium. It’s no wonder so many athletes rely on the goodness of bananas as a regular part of their diet. Earlier studies have shown that low potassium intake could be a significant factor in the development of high blood pressure which can increase the risk of stroke. Some signs of potassium deficiency may include dry skin, acne, constipation and depression, fluctuations in heartbeat, muscular fatigue, weakness, headaches, chills, cognitive impairment and unquenchable thirst. Rich in Vitamin C which contain antioxidants that strengthen the immune system and helps the body absorb iron which is needed in the production of red blood cells and proper levels of oxygen intake. Of course this vitamin offers many other benefits such as the production of collagen and elastin which helps keep us looking young. It also helps keep our bones and connective tissue healthy and helps prevent cataracts of the eye. Rich in fiber which keeps your digestive system healthy and helps prevent constipation. Contains manganese which helps maintain healthy bones and metabolism. Also included are calcium, phosphorus, iron, vitamin A, vitamin E and folate. Manganese and calcium help prevent osteoporosis. Great source of Vitamin B6 which helps with nerve and brain functions, the production of red blood cells and helps prevent depression or moodiness. Good source of carbohydrates which is an important source of energy. How Does this Fruit help with Weight Loss? The average medium sized banana contains about 110 calories but the best thing about this fruit is they offer natural sugars than can satisfy a sweet tooth while practically being fat free. 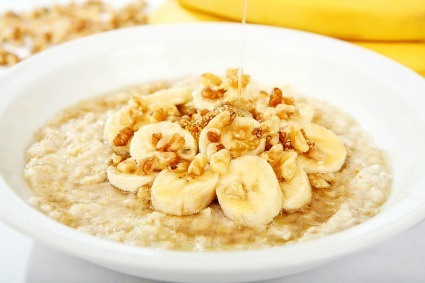 Bananas are not only filling but are easy to digest given their texture and can be eaten as is, on top of cereals, in fruit salads, in baked goods, in smoothies and so much more. By being relatively low in calories and offering all of these health benefits this fruit proves to be a healthy filling snack at any time of day which provides lots of energy to give you that get up and go. The more healthy foods we consume the easier it becomes to avoid weight gain and help prevent obesity. Bananas offer a low fat and heart healthy snack anytime of the day.